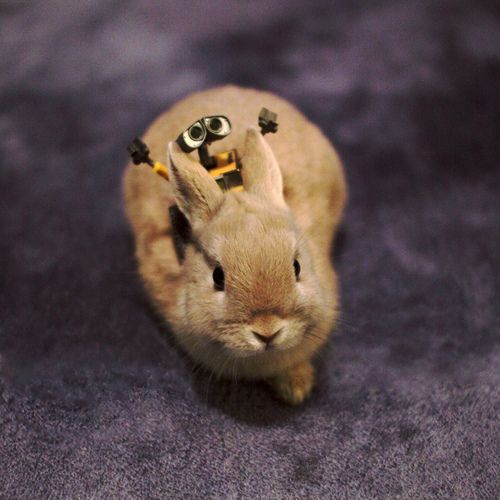 Wall-E and a Bunny. . Wallpaper and background images in the 픽사 club tagged: photo wall-e bunny rabbit cute.